Edge Sight and Sound - your events. our passion. : Keith's Ice Cold Lemonade! Guess what everyone? Its almost time for the kick off of Keith's Ice Cold Lemonade Stand! Keith's Ice Cold Lemonade is a fundraiser created by Keith Boyd, a young man with a big heart! Keith's goal is to raise $250,000 this summer for the Little Light House. The Little Light House's mission is to improve the quality of life of children with special needs, their families, and their communities. They accomplish this mission by providing tuition-free educational and therapeutic services to children with special needs ages birth to six. The LLH does not charge tuition and receives money only from private sources, such as foundations and grants. The LLH does not receive funding from government sources or the United Way. Keith's lemonade stands are a huge help for The Little Light House. What started out as a small lemonade stand has grown into a huge, beautiful, event! Chick-fil-A's franchise owner, Arthur Greeno, introduced Keith’s idea to the Thrive15 team and they are helping Keith's goal turn into reality! Chik-fil-A will provide lemonade and tea and create special lemonade stands for each sponsor location. Lemonade will be free at the stands, but donations will be accepted. A special 24 oz. Keith’s Ice Cold Lemonade cup can be purchased for $100 and filled up all summer at any area Chick-fil-A for free. 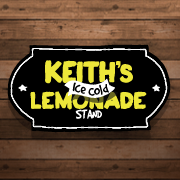 Keith will have 10 lemonade stands around Tulsa, OK every Wednesday from June 16 through August 20, 10:00am to 2:00pm, and we'll be there jamming out with Keith himself! We are so honored and excited to help Keith accomplish his goal this summer! Please help us get the word out by liking and sharing his pages! Stay tuned for details! We'll be announcing every week which location we'll be jamming at! WE ARE EXTREMELY PROUD OF YOU KEITH!!! !